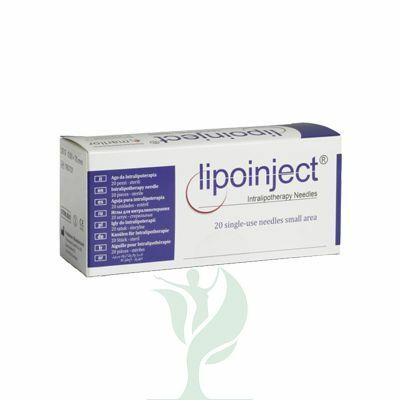 LIPOINJECT® SMALL AREA 25G are specifically designed needles used for the injection technique called intralipotherapy, used for treatment of small areas of the body. Made of top quality German steel, guarantee a painless and easy penetration and size defined by a specific study of flows to a selective and homogeneous infiltration. Lipoinjection needles are commonly used to administer products such as Aqualyx which helps to dissolve fat in desired areas of the body.